Seven Oaks Holiday Home Park01743 885080work Holiday Home ParkSeven Oaks is a superb 10 acre caravan park, situated in some of the finest countryside in Great Britain. It enjoys an elevated position on the banks of the River Severn with a 1 acre fishing lake. The park is teeming with a variety of wildlife and offers superb pitches and is developed to the highest standard. 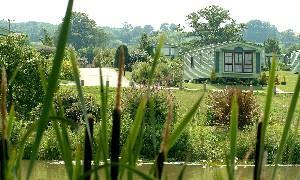 Seven Oaks is a superb 10 acre caravan park, situated in some of the finest countryside in Great Britain. This exclusive park offers metered piped gas, satellite TV, WIFI and telephone points. Seven Oaks is easily located taking the A458 Shrewsbury to Welshpool road, turn right just passed the Cross Gates pub on to the B4393 sign posted Lake Vyrnwy. Travel through the village of Alberbury, just through village of Coedway you will find the entrance to Seven Oaks on the right.